It can be tough to make the ideas of global warming and climate change compact enough to fit into what you see outside your kitchen window or during your drive to work. But those two phenomena are sitting right outside your door at the moment, and everyone will be feeling their impacts in terms of the future of the overall economy, your community and state, and land and marine natural resources, and even the potential social and political unrest that any big change or challenge can create. rainfall will make for sticky weather problems in the future. Climate change has been happening and will continue to happen into the future. Even if we stop emitting greenhouse gases completely — what scientists call anthropogenic, or human-caused impacts — the Earth’s climate is slow to react (that is, to rebound) and will continue to change. 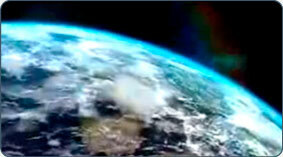 The Earth’s temperature will continue to rise. Whether you live on the coast or inland, work in the city or vacation at the beach, love bowling or golf, you will experience climate change. The response will involve everyone. People need not only to begin to reduce — or “mitigate” — the causes of climate change, but also to learn how they and their communities can cope with — or “adapt” to — consequences that are already inevitable. Does this make you want to go back to that kitchen and throw in the towel. C’mon, you’re not a quitter. Energy expert Hal Harvey and NASA Chief Scientist Waleed Abdalati discuss the threats of climate change and how we can prevent them from becoming a reality. This complex future requires future thinking. A good example in Rhode Island is the long-term view of the Providence wastewater treatment plant, the largest in the state. The Fields Point plant is located right on the shores of Narragansett Bay. If the sea level rises as predicted for the Bay, thinking needs to be focused on where an expanded plant would be located. Will it be in “my” neighborhood? Who will pay for this project? How much will it cost? Fortunately, planners at the Narragansett Bay Commission, which operates the plant, have already begun addressing those issues and proposing solutions. But this type of examination of the current situation and the anticipated change in our environment should be a concern for all residents and businesses. And we owe it to future generations who will pay in myriad ways for this adaptation. Let’s remember, future generations are those children we hope to have, that toddler playing with Legos, those kids running through a sprinkler — hopefully not during a drought — or the grandchildren whose lives will be impacted by the choices we are empowered to make for them today. the longer we wait to act. So it would be good to know how to maximize our spending in coping with the challenges. Don’t you want to be an informed voice in making these decisions? We all helped to create the problem. True, most of us did it just to provide a better life for our families. Why not have that second or third car to make life easier? Why not use energy to make our homes more comfortable and lighten our workload? This is not about blame. It is about making decisions to adapt to a changing climate. It is about recognizing that the lifestyle much of the world envies is not sustainable. However, we have the ability to shore up the ship, but we all have to get on board first. 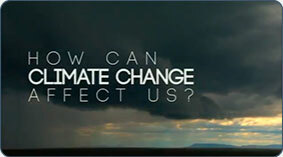 “Climate change affects everything that you do. Climate change threatens human health and well being in many ways, including impacts from increased extreme weather events, wildfires, decreased air quality, threats to mental health, and illnesses transmitted by food, water, and disease carriers such as mosquitoes and ticks. Some of these health impacts are already underway in the United States. Sea level rise and increasingly severe storms will have a serious impact on the 39% of the U.S. population, over 123 million people, who live in coastal counties around the country. Severe storms, such as Hurricane Sandy, cause massive coastal erosion and damage beaches popular with vacationing tourists and local residents. Ocean acidification will not kill all ocean life. But many scientists think we will see changes in the number and abundance of marine organisms. Many marine ecosystems may be populated by different and fewer species in the future.